Dr. Harvey Karp has many great ideas to inspire toddlers and their parents. One of my favorite strategies is Gossiping. Toddlers love to hear about their effects on others. Tell his stuffed animals or his “lovey” what a great listener he was, or how he ate a new food, and you will have an audience that can’t wait to show you what to talk about next. It goes something like this: notice some progress your toddler made toward a goal ( toilet training, sharing, etc.) and find a moment to use a louder voice and some over-the-top acting to tell the teddy bear what you saw and how amazing/terrific/grown-up that was. Lay it on pretty thickly, and never acknowledge that you know your child heard every word. You can even mention to teddy that you hope it happens again soon, or that you plan to tell other family members later. Children at this age are not always tolerant of criticism, and they sometimes even feel pressured when they receive direct praise. A young child can think that if they don’t perform the same way next time, they might have “failed’. But hearing gossiped praise is often a double bonus. 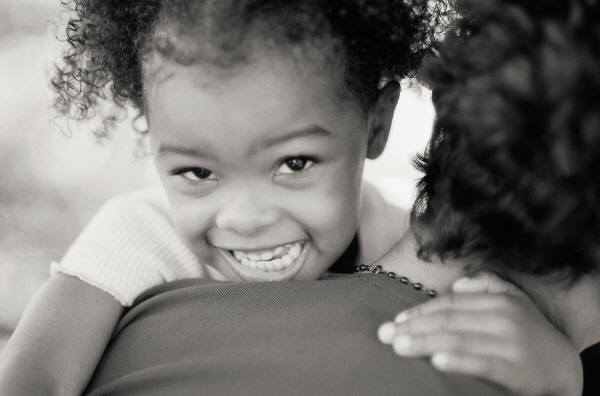 Toddlers hear you say something positive about them, and know someone else has heard it too! Gossiping Variation: Gossip to another person about another sibling or even a toy, mentioning an action or skill that you want to encourage in your toddler. You might tell your mother that you saw your older child cleaning up, and how grown-up you think they are. Or how happy you were when they shared a toy or a snack. If your toddler was present when it occurred, all the better. Again, do not directly acknowledge that your child is listening to this gossip. Think you child is too young to absorb it all? Even the younger toddlers will get the general idea that you are saying something positive about them. Your tone and your gestures or facial expression will convey more than you might think. It is never too early to feel good about yourself! This entry was posted in behavior issues, parenting, toddlers and tagged Dr. Harvey Karp, preschoolers, toddler behavior on September 23, 2014 by Tranquil Babies. The Happiest Toddler on the Block techniques can transform a whining toddler into a cooperative little person. But it can do so much more. Teaching children how to manage their behavior and learn about their feelings is essential. The cornerstone of HTOTB is the Fast Food Rule, but many of the other techniques are very helpful. I wanted to share one of my favorite strategies for teaching toddlers: telling Fairy Tales. These are not your standard stories, they are stories about characters that are dealing with the same issues that have been stressing your toddler. Telling the story of the princess that didn’t like to share, or the teddy bear that did not want to sit in his car seat can be instruction in a “one-off” way. A child can feel less pressured than being told what to do, or even hearing that their sibling or friend handles things differently. Talking about the way the princess realized that she was happiest when sharing toys with her friends is less intense than telling your child to share her favorite dolls. Finding out that the teddy bear’s mother sympathized with his desire to be free (but had to follow the rules that all bears are clicked in) makes your rules sound more reasonable. Children really want to know how to succeed in life and please their parents and caregivers. But toddlers with strong temperaments, or those feeling stressed cannot use direct conversation quite as well as we would like. When used with Gossiping (about their successes) and Patience Stretching, this can really transform your child’s behavior. Some children really want to hear more and more, so you may be “writing” a chapter book about the puppy that didn’t like to get dressed for preschool. Time to get creative! This entry was posted in behavior issues, parenting, toddlers on September 7, 2014 by Tranquil Babies. AS a certified HBOTB educator, I have received comments and questions that help me clarify my message and improve my instruction. I imagine that many parents are thinking about these questions but may never ask me in person or on the phone. Time for some refinement. Q: How can I use side or stomach-lying? The pediatrician said never to put my baby to sleep that way? A: You are right; babies under 12 months should never sleep on their stomachs, in order to reduce the risk of SIDS. The HBOTB 5 S’s are used to CALM your baby, and then they sleep swaddled on their backs. Q: Doesn’t pacifier use ruin their teeth? A: HBOTH is used with babies 0-12 weeks old. 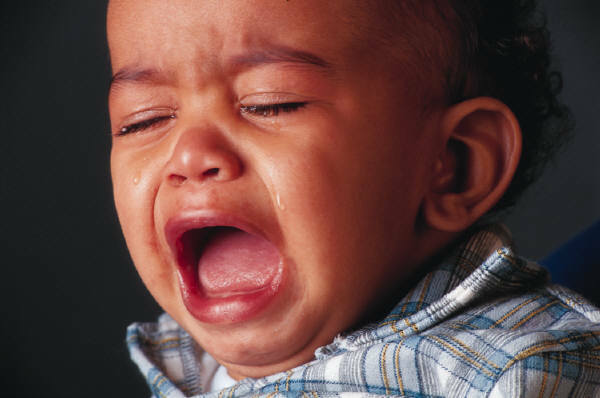 Babies under 6 months of age generally do not have teeth. Sucking is a natural way babies soothe themselves at this stage of development. Pacifier use after 6 months is more likely to affect dental development AND become an emotional attachment, not a biological need. Q: I have heard that pacifier use will disrupt breastfeeding!! A: If you are breastfeeding, HBOTB recommends that you wait until your baby has mastered nursing before you introduce a pacifier. That could take a few weeks. But most babies get very good at nursing very fast. Watch your baby’s swallowing; if she is at the breast but not swallowing, she is just soothing herself by sucking, which is normal and perfectly acceptable. Q: My baby sleeps so well swaddled, won’t he sleep through a feeding? A: If your baby is hungry, he will awaken unless he is experiencing other issues that create lethargy. True hunger cannot be eradicated by the 5 S’s: your baby will momentarily calm, then realize he is still really hungry! This entry was posted in infant sleep strategies, newborns, parenting on September 5, 2014 by Tranquil Babies.